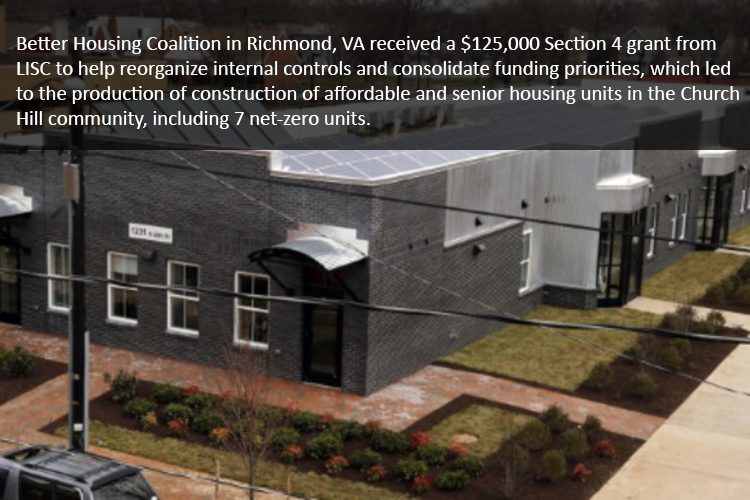 The Capacity Building for Affordable Housing and Community Development Program, also known as the Section 4 program, was originally authorized under Section 4 of the HUD Demonstration Act of 1993 (Pub. L. 103-120, 107 Stat. 1148, 42 U.S.C. 9816 note), as amended. 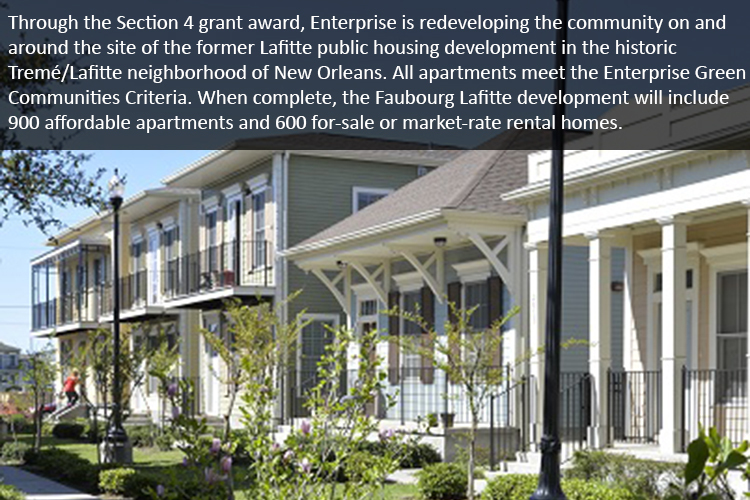 The program enhances the capacity and ability of community development corporations (CDCs) and community housing development organizations (CHDOs) to carry out community development and affordable housing activities that benefit low-income persons. Through funding of national intermediaries, the Section 4 Capacity Building for Community Development and Affordable Housing Program (Section 4) enhances the capacity and ability of Community Development Corporations (CDCs) and Community Housing Development Organizations (CHDOs) to carry out affordable housing and community development activities that benefit low- and moderate-income families and persons. Training, education, support and advice to enhance the technical and administrative capabilities of CDCs and CHDOs, including the capacity to participate in consolidated planning, as well as in fair housing planning and continuum-of-care homeless assistance efforts that help ensure community-wide participation in assessing area needs; consulting broadly within the community; cooperatively planning for the use of available resources in a comprehensive and holistic manner; and assisting in evaluating performance under these community efforts and in linking plans with neighboring communities in order to foster regional planning. Loans, grants, development assistance, predevelopment assistance, or other financial assistance to CDCs and CHDOs to carry out community development and affordable housing activities that benefit low- and moderate-income families and persons, including the acquisition, construction, or rehabilitation of housing for low- and moderate-income families and persons, and community and economic development activities that create jobs for low-income persons. 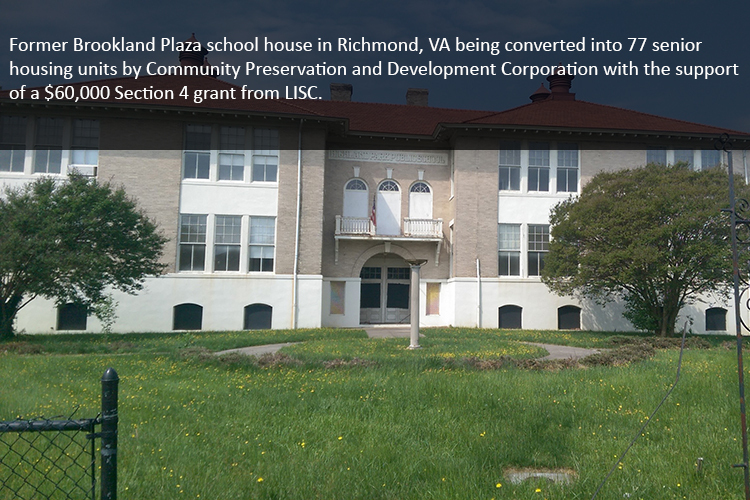 Other activities may be undertaken as part of, or as a result of, capacity building efforts previously mentioned and shall support the implementation of other HUD programs, especially Community Development Block Grant (CDBG), HOME Investment Partnerships program, Homeless programs, and Housing Opportunities for Persons with AIDS (HOPWA). Such activities shall support HUD's Strategic Plan and priorities described in the General Section of HUD’s Notice of Funding Availability (NOFA). Rural capacity building activities are eligible and may receive discretionary funding. Application requirements may change on a yearly basis and can be found in the Program Section of HUD’s NOFA for the Section 4 Capacity Building Program. Applications are to be submitted in accordance with written submission requirements as found in the NOFA during the competition period. Only the aforementioned organizations are eligible to apply. The Office of Policy Development and Coordination in HUD’s Office of Community Planning and Development administers the competition. In the FY 2018 NOFA the definition of rural area was updated. 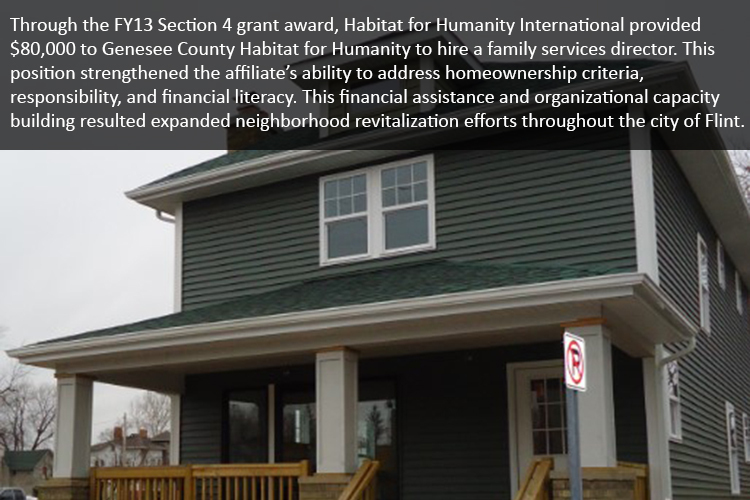 For the grant program, a rural area is a statistical geographic entity delineated by the Census Bureau that does not meet the definition of an urbanized area. An urbanized area is a statistical geographic entity delineated by the Census Bureau, consisting of densely settled census tracts and blocks and adjacent densely settled territory that together contain at least 50,000 people. As of the 2010 decennial census, the United States contained 486 urbanized areas with an additional 11 in Puerto Rico. For more information about urbanized areas, including maps, FAQs, and reference manuals, please refer to the Census Bureau website. To demonstrate that a beneficiary complies with the rural area requirement, grantees will be expected to implement a review process to confirm that the proposed rural beneficiary is physically located within an eligible rural area or, as a result of capacity building grant assistance, will be commencing or expanding service in an eligible rural area. HUD has created the embedded mapping tool for capacity building grantees to utilize in assessing a beneficiary’s compliance with the rural area definition.